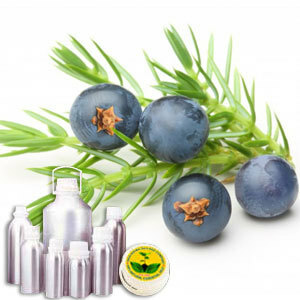 This Wildcrafted Oil obtained from juniper berry, which is said to be the female seed cone produced by several species of junipers. It is generally a cone and not a true berry, with unusually fleshy and merged scales, giving it a berry-like appearance. This berry is particularly used as a spice in European cuisine. A middle note with a medium aroma, Juniper Berry has a fresh, rich, balsamic scent reminiscent of pine needles. It can mix well with Juniperus drupacea, Juniperus phoenicea, Juniperus oxycedrus and Juniperus deppeana. This Wildcrafted Oil is used as a spice in European cuisine and imparts a sharp, clear flavor to meat dishes.